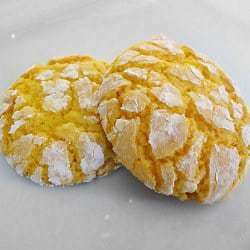 If you like lemon, you will LOVE these cookies. And if you love quick recipes that you mix together in one bowl with one spoon and have out of the oven in less than 20 minutes, then definitely keep reading. This is definitely one of the easiest recipes I have ever encountered. You may have seen a version of this recipe before – a cookie recipe based on a box cake mix. I have seen variations floating around the Internet for a couple of years now, but this is the first time I gave them a try. I was admittedly a little hesitant because I do try to make everything from scratch, but sometimes it doesn’t hurt to have a quick shortcut in your back pocket for those days when you need to throw something together in a hurry. This is a delicious solution for those kind of days. 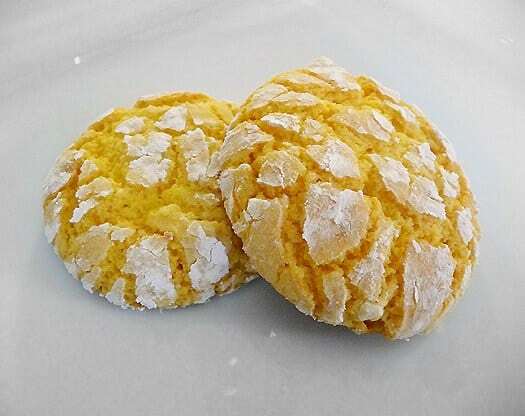 Taking a bite into these cookies and you truly get a “burst” of lemon. 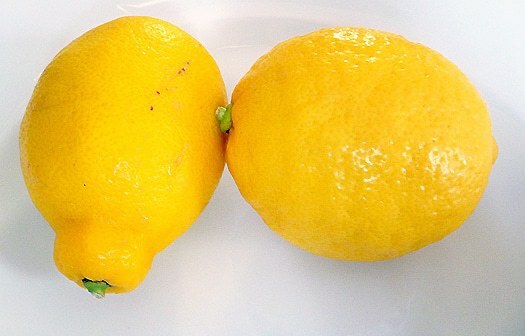 The lemon cake mix is augmented with lemon zest, lemon juice and lemon extract. If you wanted to spice things up a bit, you could also substitute limoncello for the lemon juice in the recipe. Mmmm… The cookies, not surprisingly, have a soft and cakey texture. Rolling them in powdered sugar provides a perfect balance to the tartness of the lemon. I think they would be a wonderful addition to a brunch spread, great for a wedding or baby shower, and a great complement to afternoon tea. 1. Preheat oven to 375 degrees F. Line baking sheet with parchment paper or silicone baking mat. 2. Pour cake mix into a large bowl. Stir in eggs, oil, lemon zest, lemon juice and lemon extract until well blended. 3. Place confectioner's sugar in a bowl. 4. Drop heaping tablespoonfuls of dough into balls and roll in confectioner's sugar until lightly coated and place on baking sheet. 5. Bake for about 10 minutes or until the edges are lightly browned. Cool for 2-3 minutes on the cookie sheet and then transfer to a wire rack to cool completely. My cake box is only 15.2 oz! Should I add some flour? Hi Maryann, Unfortunately I think manufacturers have shrunk their cake mix sizes since I originally posted this recipe! I haven’t played around with modifying yet, so I couldn’t say for sure. I have made this very easy recipe many times. 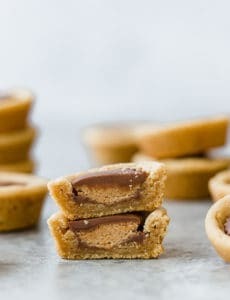 They are easy to make and very good. These were easy and delicious! Great lemon flavor and so crunchy on the outside but chewy inside. Tried to buy an 18.25 oz. cake mix, but the box sizes are now smaller. Do I need to adjust the quantities of the other ingredients? Thanks! Hi Sheryl, Yes, if the box size is smaller, you’ll want to adjust the other ingredients by the same ratio. Wow! These have a really intense lemon flower ( which is fine by me!) Super easy to make. I had to put the dough in the fridge for a bit to be able to roll the balls, but no big deal. 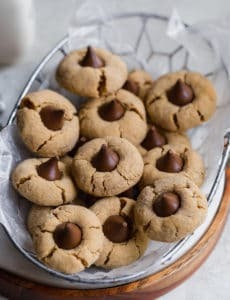 I just saw this recipe and it sounds great – has anyone tried making these with the addition of poppy seeds? Pingback: My Favorite Meatloaf Recipe : Best of Baking with Pinterest! 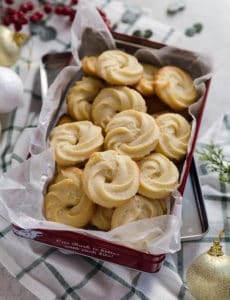 I would like to make these cookies, but I dont have lemon extract. Can I use more lemon juice or zest instead? Hi Helen, Lemon zest has a bit more of a punch, so I would go that route. Enjoy! I made these cookies today. Got lots of compliments from everybody. Great recipe! Thank you for sharing! I have made these as per recipe given. Baked them at 7 mins and they are truly wonderful. Did not ice them as they are already very sweet. Now I want to know how to store them for a long time (6 months). I would appreciate reply asap. Have to bake now for my friends in another country so they have their Christmas cookies in about 6 months. I also will be using these for this Christmas here at home. 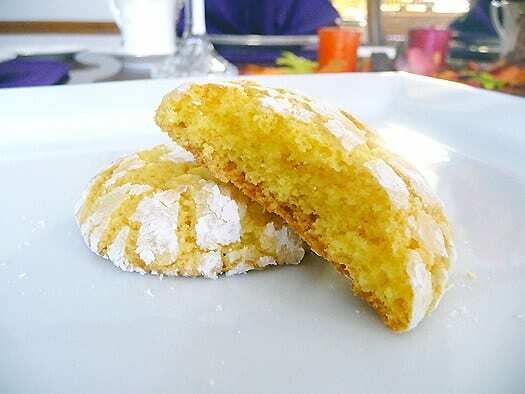 Many thanks for sharing this recipe and I certainly will be baking allot of these in the future as my family loves lemon and i have access to many lemon trees. Hi Janis, I usually recommend freezing cookies for only 2 months, at the longest. I have never frozen them for 6 months, and not sure how fresh they would be. You definitely need to freeze them, but I can’t guarantee how they will be after that long in the freezer.